Reader question: Can you recommend a bike lock for my 7 year old? He rides a few blocks to school, and I want him to be able to lock (and unlock) his bike on his own. What a tricky question! The safest bicycle locks are heavy and bulky—not ideal for a child. On the flip side, easy-to-carry, lightweight locks are easy for thieves to cut. 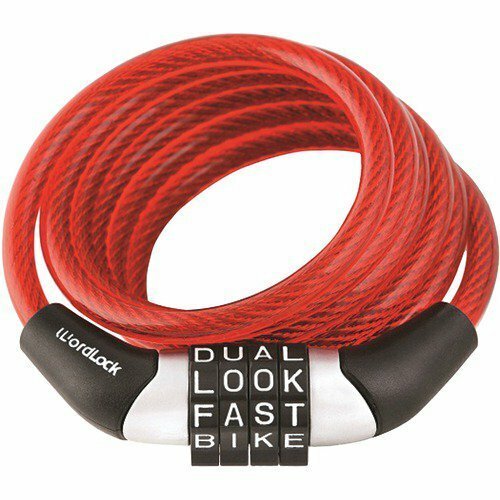 I’ve tried to balance these two factors – portability and weight – when compiling my favorite kid-friendly bike locks. That said, I’ve put an emphasis on weight and easy operation; if your child’s school isn’t in a safe area, or if you are looking for a lock for family bike rides, consider a U-Lock instead. 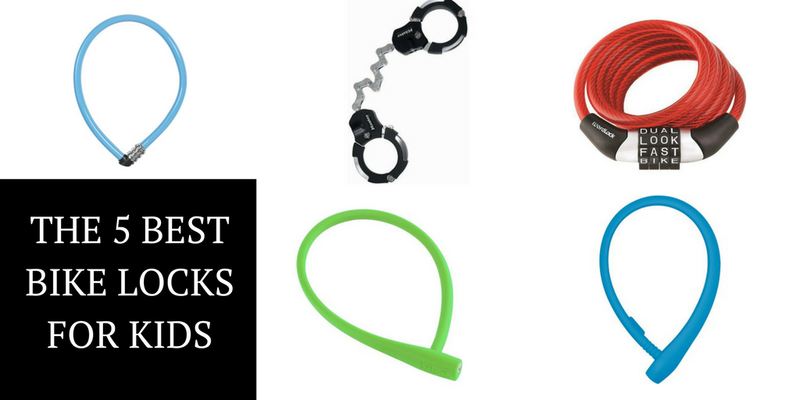 Cable locks aren’t as secure as U-locks or chain locks, but they are light and easy to carry. If your child is locking up their bike in pretty secure areas, or they are too young to carry a heavier lock, this is a fun one. I had to include this one because it is just too cute. Words can be easier for young kids to remember than numbers, but I do worry that it is probably easier for a would-be thief to figure out a word also. Nonetheless, if you are just looking for a lock for the school bike park, this will probably do the job. Woom bikes are not cheap. 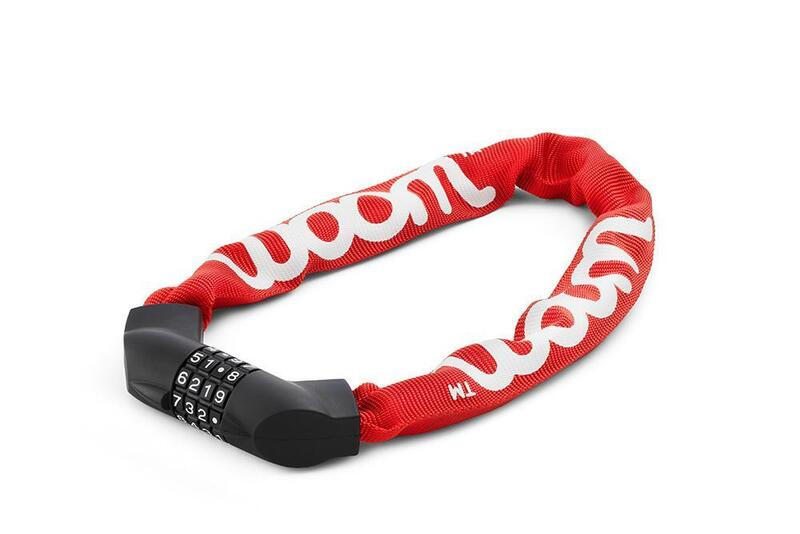 If your child owns one, or you have a similarly high-quality, high-priced kids bike, the Woom lock will help protect your investment. Unlike the cable locks on this list, the Woom lock is made of sturdy .24 inch steel chain but isnt excessively heavy. My 5-year-old is able to easily carry and operate this lock on his own. The OttoLock is the most interesting lock that we’ve seen. 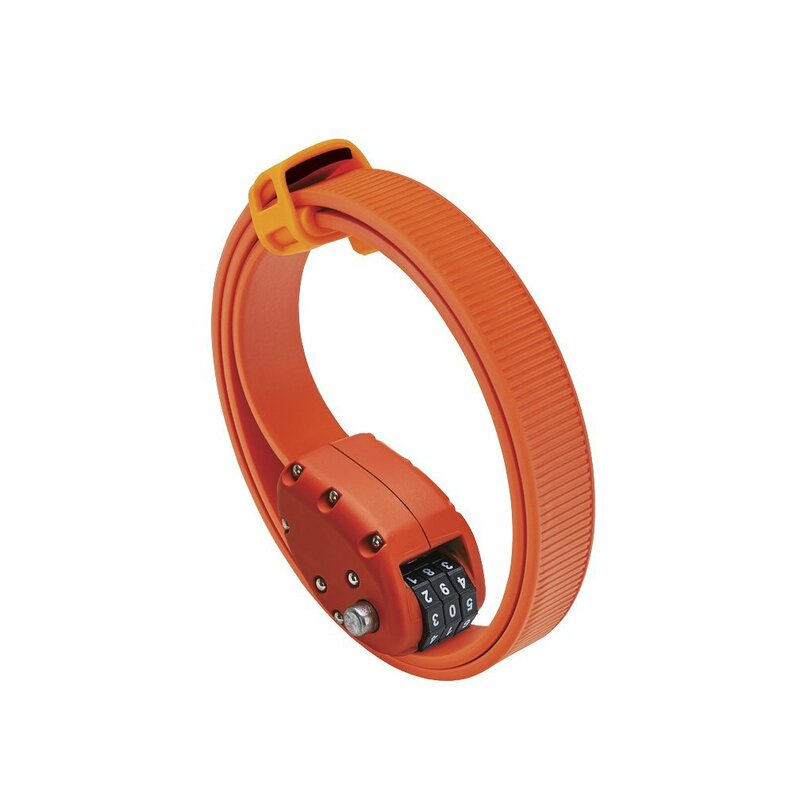 The lock is a thin, lightweight, plastic-covered steel strap that rolls up when not in use. My 5-year-old has no problem carrying the lock or operating the combination, but does struggle pushing the button and pulling the strap thru the buckle. For this reason, the OttoLock is better suited for older kids with stronger hands and better dexterity. 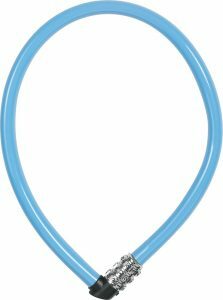 The Abus UGrip is flexible, lightweight, and comes in fun colors for kids. The soft elastomer coating helps protect your child’s bike from getting scratched. It comes with two sets of keys. This bike lock looks just like hand-cuffs, and functions the same way. Kids love it, and you can’t count on them locking as many wrists as bikes with this thing. It’s also one of the toughest locks out there. Unfortunately, it’s also one of the heaviest, so save this one for older, stronger kids. I’m a sucker for all Knog products. I keep their little lights on all my bikes for those just-in-case, didn’t make it home before dark situations. 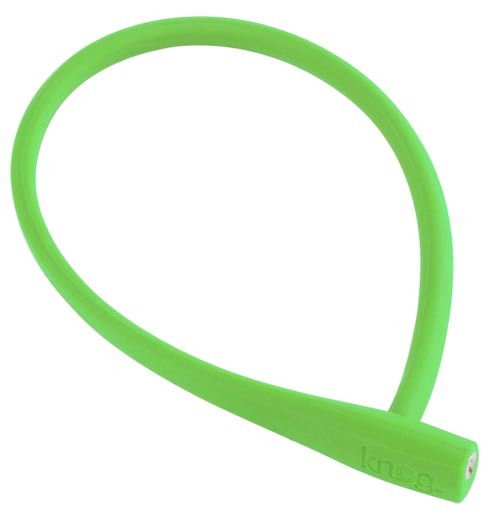 The Knog Party Frank is a light-weight bike lock that comes in a variety of fun, kid-friendly colors. 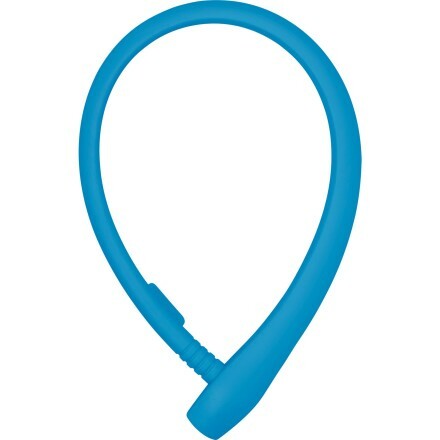 It comes with three sets of keys, so if your kiddo loses their key, all is not lost. There are a couple of things to consider when choosing the best lock for your child and their particular situation. If you have two kids biking to school together, you might want a lock that is long enough for two bikes. 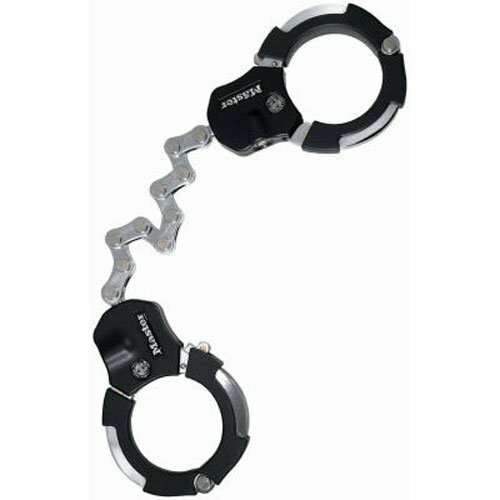 If you have an older child who can handle a heavier lock, choose the one with the best security (The Master Lock Street Cuffs). If you have a kindergartner, go with the lightest lock you can find.